At one time or another in your life, you’re going to need a plumber. But with a little bit of information, it becomes less likely that you’ll need an emergency plumber. Here are some tips that can ensure that your chances of needing a 24-hour plumber in the middle the night are diminished. 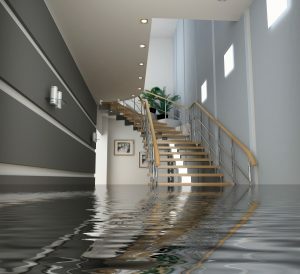 You’re having dinner one night and suddenly the kitchen ceiling collapses, dumping gallons of water! You never knew anything was up, and now you have a freshwater leak from the upstairs bathroom pipes that’s still spraying water into your kitchen. Yes, you’re going to need an emergency plumber sometime tonight, but what do you do during the 20 minutes it takes him to get there? There’s no more important way to stop your water emergency as it’s happening than to know where your water shutoff is. The main water shutoff in a house with a basement is usually in the utility room and will often be on the side of the house closest to the street and close to the water heater. It often comes up through the concrete floor and will be the first valve from the ground. If it’s a wheel-type (washer shutoff valve), turn it clockwise until you can’t turn anymore. If it’s a ball valve (a lever type) turn it until it is perpendicular to the pipe (or until the water leak stops). Most sink pipes in homes today are made from either ABS or PVC. Both of them will last longer than any of use will be alive, so it’s never the pipe that leaks. The joints, however, are a different story. Because the pipes won’t bend, they have to be cut and then put back together with elbows and traps. Before something goes terribly wrong, it’s good to check for leaks under sinks, in your basement, and on the walls. Doing so could help you find a tiny “drip-drip” leak before it becomes a “gush-gush” leak. If you find a leak, give your local plumber a call. Don’t just look for the leak, look for the signs of a leak: warped cabinet boards under sinks, yellow spots on the main floor ceiling below an upstairs bathroom, and mold or mildew can all be signs that there’s water coming out where there shouldn’t be. When you have plumbing problems, Garvin’s is there to tackle all of the plumbing services that you can throw at us. But we’d rather fix a leak that’s under control instead of one that had extra time to damage your house. Knowing where your emergency shutoff is and looking for problems before they happen are just two ways to protect you home.